A big thanks to one of our young supporters from Thames Estuary Yacht Club, Gemma. Through selling cakes Gemma raised £25 for Southend Lifeboat for which we are very grateful. Thank you. The water will be very tempting this weekend to cool off, but don’t be fooled, it’s still very cold once you’re in there. If you do find yourself in trouble fight any urge to swim and float on your back and shout for help. BBC2 is currently repeating their last series of Saving Lives at Sea at 7.00pm every evening. An unmissable watch! 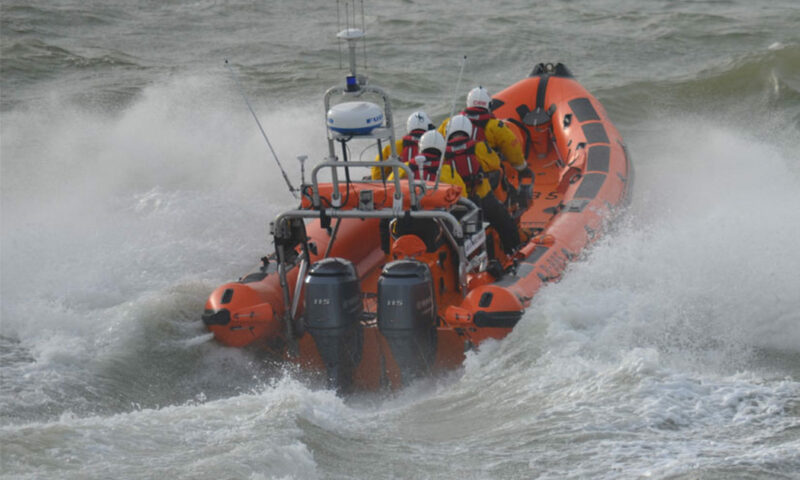 Make sure you tune in to watch the outstanding work of the RNLI volunteers. Southend Lifeboat station didn’t feature in series 3 but it did in the previous series. The kite surfer in this clip is being recued by the Southend on Sea RNLI volunteer crew. Hopefully we won’t get waves as big as this in the Thames Estuary but do be careful in this windy weather if you’re tempted to get too close to the water’s edge. Don’t forget 1 cubic metre of water weighs 1 tonne and you wouldn’t want to get hit by that! We have our own weather station on the end of the Pier. To see live weather data and check out how windy it really is, just head to our Weather &Tides page.